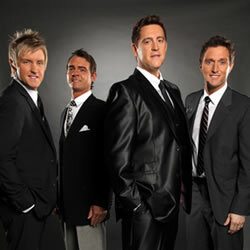 “For the past three or four years Signature Sound has been in a sort of retro mode…” Ernie Haase is talking about a span of time covering a third of his famed quartet’s existence: “…we’ve done a tribute to the Cathedrals CD and a companion video, plus a couple of novelty records called Influenced —vintage quartet songs from the ’40s and ’50s.” What he doesn’t mention about that time is having started a new label, Stow Town Records, or having signed their first group, the Collingsworth Family or having released enough classic Christmas music to accompany a five-mile hayride. Or performing about 150 concerts per year. Still, without the pressure to come up with new songs, the change was as good as a rest, providing something irreplaceable: time. “It bought us the time to be able to actually write our new material without rushing into the studio to make a record.” Ernie is mainly pleased that these songs have been field-tested. The luxury of writing and tweaking — not to mention touring now with cowriter and producer Wayne Haun — allows Signature Sound to perform new songs in concert and gauge audience response. This meant that some tunes they wrote didn’t make the cut, but those that remain have proven themselves. Most fans remember Ernie’s 10 years as the last tenor in the renowned Cathedral Quartet, and that he married founder George Younce’s daughter Lisa. What they may not know is that growing up in Evansville, Indiana, the teenaged Ernie was an avid pop music fan. So when he says, “We want Here We Are Again to be the gospel equivalent of the classic Michael Jackson Thriller record…” he isn’t speaking stylistically or lyrically, but about the individual songs comprising the album. Ernie may well be satisfied with sales slightly below Thriller’s 110 million copies, but he’s aiming higher in terms of spiritual impact with these 12 songs. Ernie sums up by concluding that this CD unleashes “all the water that’s been building up behind the dam.” So watch out world: gospel music’s most famous innovators are busting out of the studio with their blend of high-intensity, heart-driven, gospel-fueled music. 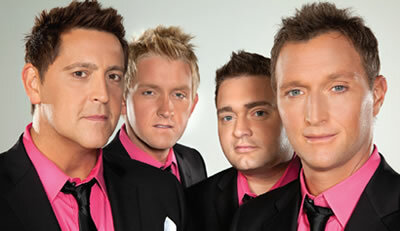 Here They Are Again! 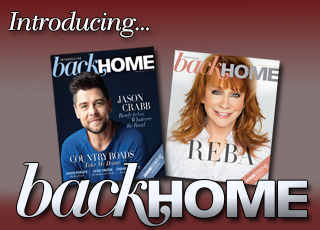 For more articles featuring Ernie Haase and Signature Sound, click here.